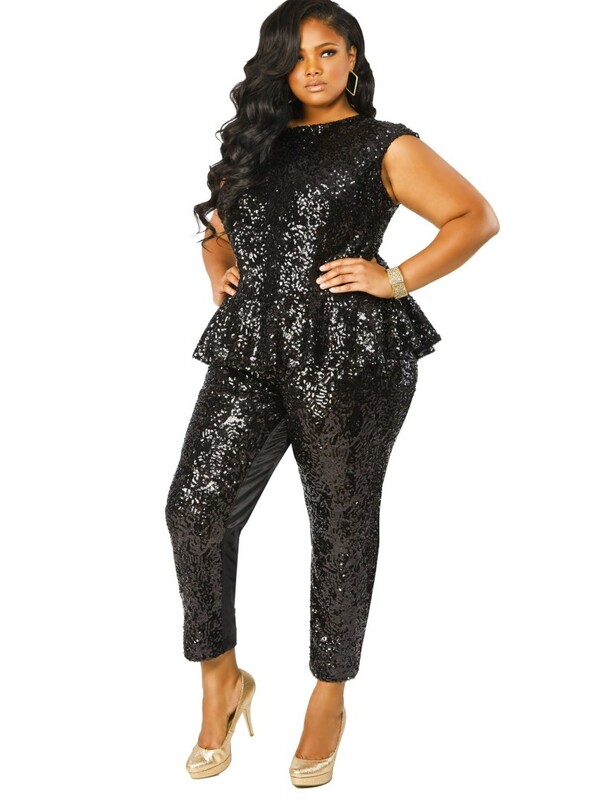 Since girls prefer to wear jumpsuits frequently for casual purposes, a sequinned one will be their favorite one when they are heading for parties. Easy to carry off, this kind of dress is not only sparkling but also elegant enough to show off your preferences when you wear them. 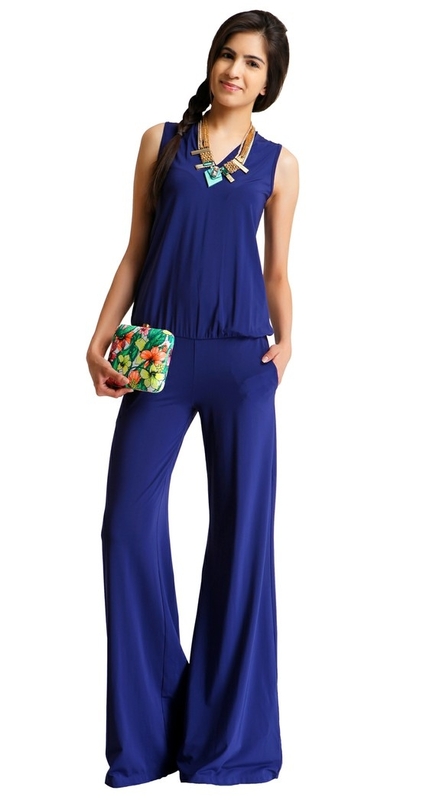 With an array of shades, each jumpsuit has a different appeal altogether. Golden jumpsuit brings back the memory of the yesteryears divas. To get such looks, try one a with simple makeup and high heels. Not in the mood of heavy makeup and accessorizing yourself but have a party to attend? Then wear a sequin jumpsuit that will take care of the whole fact of making you look like a fashionista. Care to try something different from the full jumpsuit? 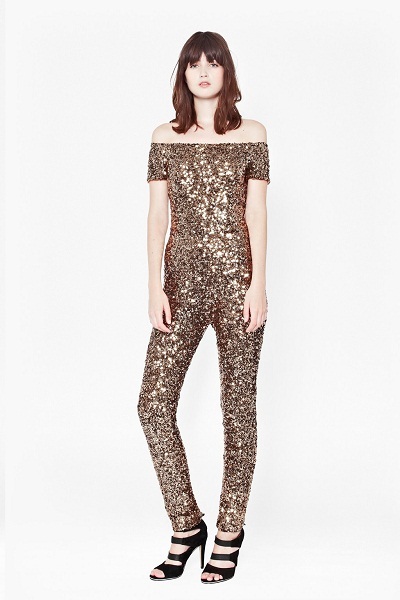 Then, a short sequin jumpsuit is your answer. Be a resplendent beauty with no makeup and concentrate only on your dress. 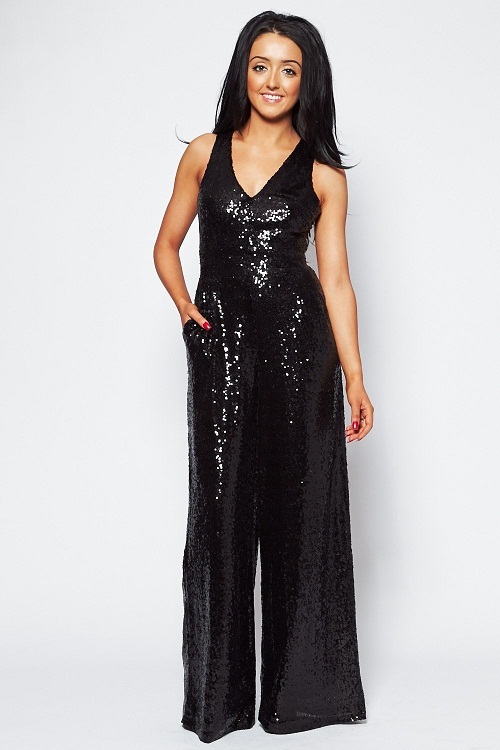 If you don’t have a black sequin jumpsuit, then your wardrobe is incomplete till now. Wear this sleeveless one for any party and be the talking point. 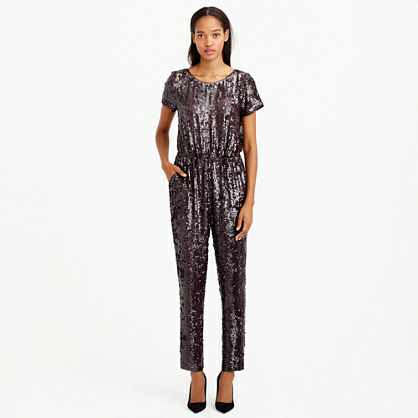 If gold is not your cup of tea, then embrace the silver sequin jumpsuit with a front tie. The well fitted sleeveless design will make you a spellbinding beauty.